At 7Sultans, you can claim bonus earnings on your first five deposits, as long as you make them within 7 days of signing up. Launching in 1998, 7Sultans online casino came hot on the heels of the world's first online casino (launched in 1996) and can legitimately claim to be one of the longest running web casinos still operating. Powered by Microgaming and based in Malta, 7Sultans casino is approved by eCOGRA and is the oldest member of The Fortune Lounge Group. Players from the US and UK are no longer accepted at 7Sultans but, fear not, the site still welcomes players from Australia. Longstanding experience of keeping players satisfied, quick and reliable payouts, plus a huge range of games (more on that below!) are all key factors in why 7Sultans' casino download is so popular with Aussie players. For more insight into the best things about the site, keep reading for our in-depth 7Sultans casino review. 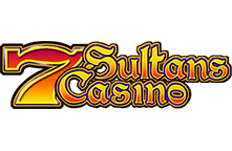 As most online casinos do, 7Sultans has a welcome bonus for new players. At the time of writing, this is a 100% match bonus up to 500 AUD. You can, at 7Sultans, claim bonus earnings on anywhere between one and your first five deposits, as long as you make them within 7 days of signing up. You can enjoy bonuses on your second and third deposits too, although they're not quite as generous as the initial welcome bonus. There's also a loyalty club – which all players are eligible for, not just high rollers – called the Fortune Lounge Players Club Loyalty Program (bit of a mouthful, eh?). For every $5 wagered (or $1 on pokies), you'll earn one loyalty point or "fortune point". You can exchange these points for casino credits while working your way up the loyalty ladder to the club's Gold, Platinum and Diamond levels. 7Sultans offers other regular promotions too, with interesting offline prizes such as cruise tickets and a Porsche sports car occasionally up for grabs. Obviously the chances of winning these are pretty low, but they'll make some players out there very happy and there's no reason why it couldn't be you. I've already mentioned a few details about 7Sultans casino bonus above, but I thought I'd focus on the wagering requirements for a moment. Wagering requirements refer to how much you need to wager to unlock the entire bonus, and they're calculated by multiplying your initial deposit(s) by a certain number. At 7Sultans, that number is 40x. This means that you need to wager 40 times the value of your deposit to unlock the bonus. However, table games only count at a rate of 20% and blackjack counts at only 10% or 2% depending on the variation you're playing. The above might be a little confusing, so I'll put it like this: unless you're a pokies player, you're going to have to wager a LOT of money to unlock a bonus that isn't hugely impressive as bonuses go. That's not to say that this is a bad bonus, because you might easily clear these limits if you get lucky early on, just that you need to be prepared either to wager a lot of AUD or to receive a bonus of lower than the full amount. Play at 7Sultans Casino with your AU$500 Bonus Now! 7Sultans has an impressive range of games on offer, including pokies and table games that you'll recognise from land-based Australian casinos. There are literally hundreds of games on offer so, whether you're an experienced gambler or taking your first flutter, you're bound to find something that suits you. Accessing 7Sultans' mobile/tablet offering is extremely simple. There's no need to navigate your way to the App Store; just visit the 7Sultans website from whichever device you want to play on. This will automatically direct you to the mobile version of their casino. You don't need to create a new account (unless you're signing up for the first time) because you can log in to play using your existing 7Sultans account. This should be enough to keep you and your smartphone/tablet going on the bus, at work, in your living room or wherever else you want to hit the casino until you can get back to the main apps on your desktop or laptop. Yes, it really is that easy! Quick Tip: Save the link in your Favourites/Bookmarks folder or add it to your home screen, if your device allows this, to get playing even more quickly and easily in the future. The good news for Aussie players is that at 7Sultans Casino, withdrawal and deposits included, AUD is accepted. For Aussie players who are looking to gamble with real money, this is one of the first things to look for at any online casino. Even the pickiest player has to be able to find a payment method from among that list that works for them. As well as English you can access 7Sultans in French, Spanish, German, Portuguese and Greek, and support is available in even more languages than that. Speaking of support, it's available via live chat, email, Skype, iMessage and WhatsApp. Or, if you're more of a traditional gambler, you can give them a call on their dedicated toll-free Australian number.